Local resistance and renewal are more vital than ever. People are beginning to seek solutions by doing things for themselves—by deciding they are going to create new concepts of economy, new concepts of governance, new concepts of education—and they have the capacity within themselves to do that. We have the capacity to create the world anew. This is what revolutions are about—creating a new society in the places and spaces left vacant by the disintegration of the old; evolving to higher humanity, not higher buildings; focusing on the love of one another, not hate; feeling hope not despair—and we’re ready for a revolution. 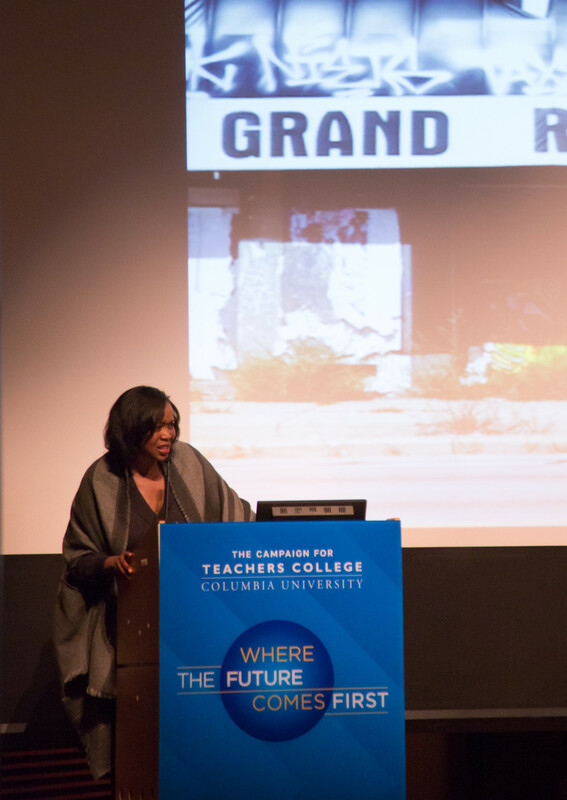 In her keynote address at the 2017 Just Food Conference, Devita Davison brings us to Detroit and encourages us to look beyond the simplistic narrative of ‘a city in decay,’ to understand the city’s systemic oppression, and to embrace its outlook of hope. Devita Davison is the Interim Executive Director at FoodLab Detroit, a nonprofit organization that works to provide entrepreneurs with the technical assistance, workshops, resources, and the skills they need to start and grow strong values-based food businesses. FoodLab is committed to serving low-resourced entrepreneurs of color, and sees good food entrepreneurship as a way to build power and resilience for traditionally marginalized people and communities and promote environmental sustainability through business practices and civic engagement by entrepreneurs.